Ellen DeGeneres and Albert Brooks are returning as Dory and Marlin. Alexander Gould, who played Nemo in the last film, has been replaced by Hayden Rolence. Some new characters have entered the story! Dory's mom and dad, Jenny and Charlie, are played by Diane Keaton and Eugene Levy. Dory meets three new friends at the Marine Life Institute: Hank (voiced by Ed O'Neill), Bailey (voiced by Ty Burrell),and Destiny (voiced by Kaitlin Olson). O'Neill, Burrell, Olson, and DeGeneres are pictured above. 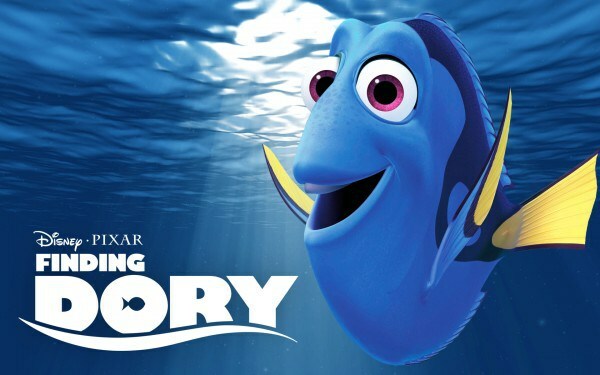 If you watched Finding Nemo, you should watch this film. Pixar fans (and Ellen) have been waiting 12 years for a sequel to Finding Nemo. Ellen pushed for a sequel because she loves the character of Dory. Since Ellen approves of what's been made, it's bound to be a marvelous film. One week ago on June 17, 2016. Have you seen Finding Dory? I look forward to watching this as soon as it comes out on DVD! It's a very good film! I'll be reviewing it soon!